Antiseptic/disinfectant. Broad spectrum of antimicrobial activity and sustained residual effect due to binding with skin proteins. Activity is by disruption of the plasma membrane of the microbial cell. 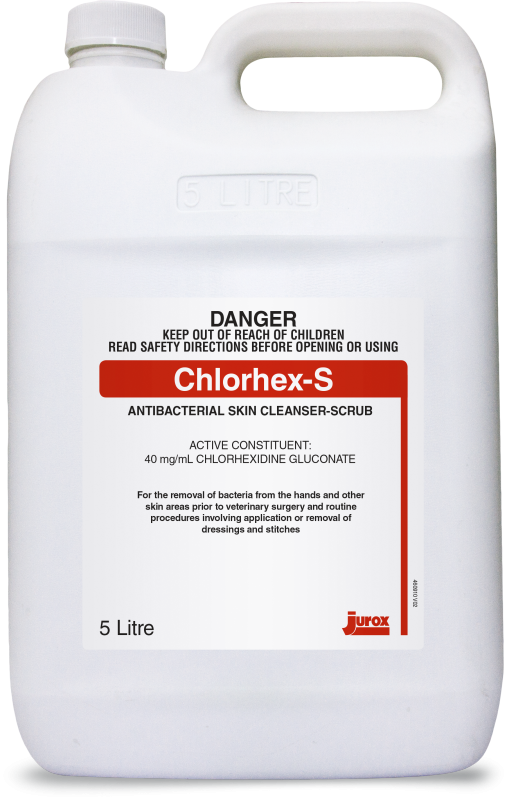 Chlorhexidine gluconate 40 mg/mL (4% w/v). For the removal of bacteria from the hands and other skin areas prior to surgery and routine procedures involving application or removal of dressings and stitches.